Fractals are unique patterns left behind by the unpredictable movement-the chaos-of the world at work. The branching patterns of trees, the veins in a hand, water twisting out of a running tap-all are fractals. Learn to recognize them and the world will never look the same again. Fractals permeate our lives, appearing in places as tiny as the surface of a virus cell and as majestic as the Grand Canyon. From ancient tribal peoples to modern painters to Star Wars animators, artists have been captivated by fractals and have used them in their work. Fans of computer science and math whizzes are wild about fractals as well, for the interesting programming and math problems they present. 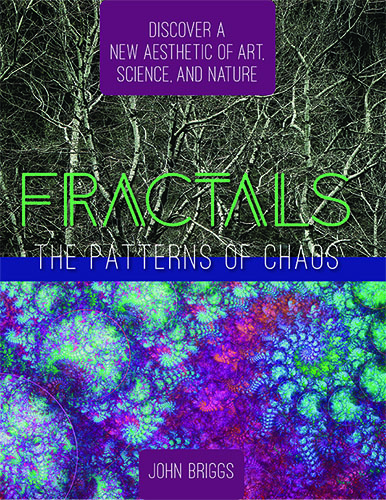 In Fractals: The Patterns of Chaos, science writer John Briggs uses over 170 illustrations to clearly explain the significance and beauty of fractals. He describes how fractals were discovered, how they are formed, and the unique properties different fractals share. Fractals is a breathtaking guided tour of a remarkable frontier in art, science, and nature. It will revolutionize the way you see the world and your place in it.